Total of 10 individually crafted logs. The “Stadium” burner system engineered to create an incredibly colorful and realistic flame pattern. 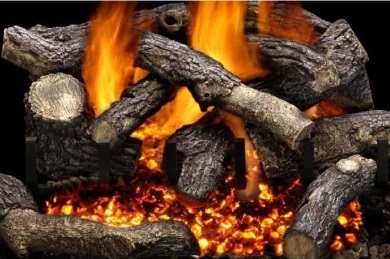 Platinum embers create three of the most natural-looking glowing ember beds. Stadium burner generates substantial radiant heat. Burner system designed to hide unsightly valves and control dials. Available in 18”, 24″ and 30″ sizes.